Besides "Featuring 'Weird Al' Yankovic" and "Toploader reunion announced", there is no more feared phrase in rock history than "drummer's solo project". Yet Foo Fighters resurrected the credibility of such a folly, and we're currently experiencing a glut of impressive examples of this much-maligned art form. 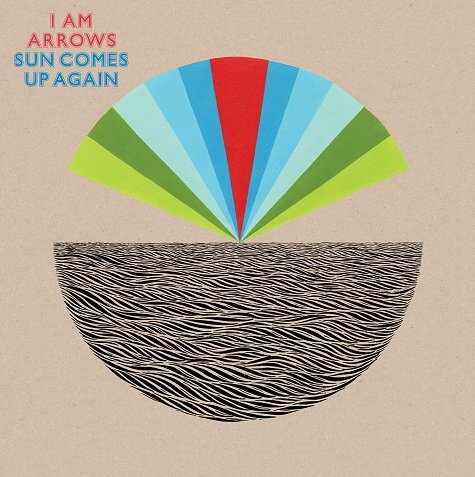 Placebo's Steve Hewitt is back with his marvellously meaty Love Amongst Ruin project, Radiohead's Phil Selway is chancing his arm at solo superstardom, and here's Razorlight's one-time sticksmith Andy Burrows under his new I Am Arrows moniker, proving that sometimes the hidden talent in a band really can lurk behind the hi-hat. Following 2008's lo-fi, largely acoustic and surprisingly accomplished charity solo album Colour of My Dreams, Sun Comes Up Again finds Burrows' fleshed-out pastoral pop nimbly side-stepping the sort of arena bombast you might expect from the man behind Razorlight's biggest hit, America. Instead, it's a fuzz-folk delight to slot alongside Gerry Rafferty, Elliott Smith, Brendan Benson, Broken Bells and Laurence Arabia's Chant Darling. There are missteps over the 14 tracks here - Battle for Hearts and Minds, for example, is a Kinks-ian tinkle liberally smeared with Britpoppy bmmm-tshh, and So Long Ago is a harpsichord and xylophone waltz that teeters between Stranglers class and Divine Comedy cheese. But more often than not Burrows hits the mark with a homemade charm and a winsome pop sigh. Burrows' US obsession remains undimmed. Nun is as close to West Coast Californadelia as a Winchester lad recording in London and Brooklyn can get: all Beck clicks, squelches and electro-handclaps that can't help but make you picture a band like Len cruising a convertible down Santa Monica Boulevard headed for Malibu. Funky falsetto single Green Grass, meanwhile, tells of an errant lover fleeing London for the heat and hubris of Hollywood. This atmosphere of dislocation and loss permeates the entire album, more through Burrows' sonorous, double-tracked vocals than the lyrics themselves, which for the most part verge on the lovelorn-yet-vague. The exception being the fantastic country tearjerker Hurricane, wherein Burrows reaches a desperate clarity: "If I don't feel your love again / Then I'm over". It's a personal directness the rest of the record would benefit from; instead we're swamped - albeit with the sumptuous indie-folk grace of The Shins - in watery platitudes. A record, then, that says nothing, beautifully. 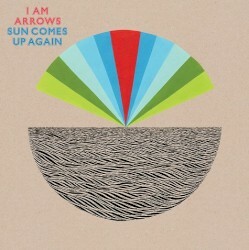 When Burrows develops a lyrical accuracy as keen as his musical one, these Arrows will truly burst hearts.